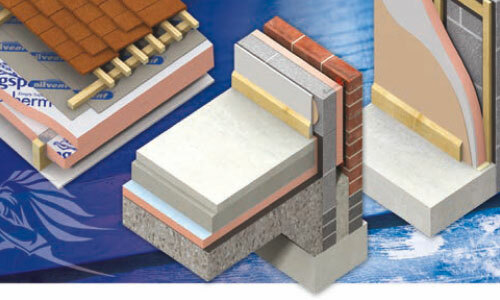 Kinsgpan insulation products are the market leaders of premium and high performance insulation products and insulation systems for your buildings fabric. At Tennants we are proud to be working with this innovative Irish based company having enjoyed a long history together completing a number of high profile projects throughout Ireland. Where and why do you use Kingspan? Kingpsan insulation can be used for any size project from your home to a large football stadium, in Flat roofs, under screed, under floor heating applications, pitched roofs, cavity walls, soffits, and external cladding. At Tennants we can provide you with all the necessary information for you to make the correct choice of which product to use.